Hi ladies! 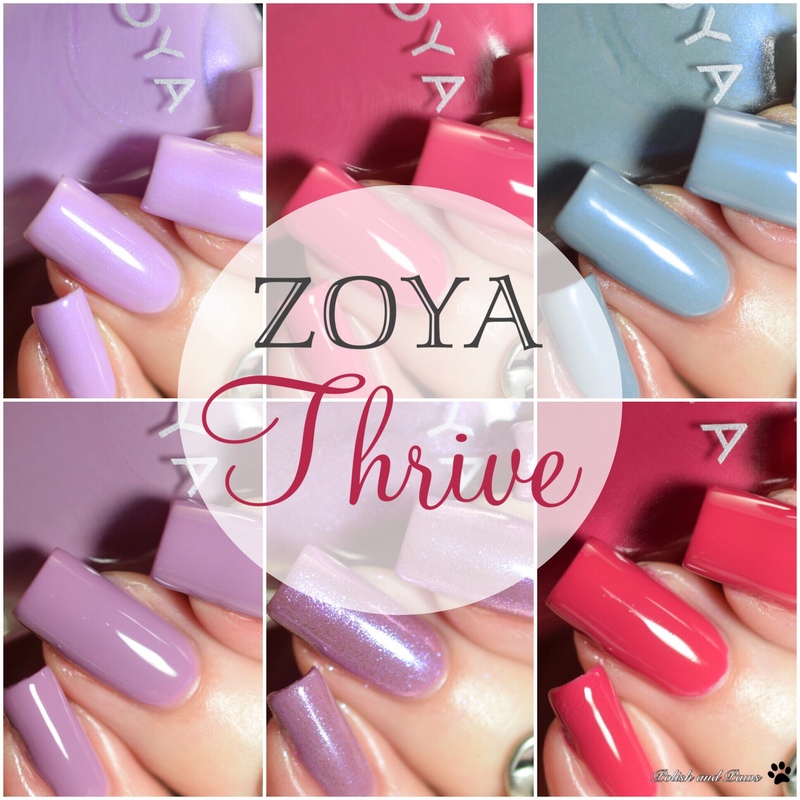 I have finally gotten the Zoya Thrive collection swatched, after eagerly awaiting their turn. Now my very first reaction when I saw this collection was kind of blah. It just didn’t look very unique or special. And this is exactly the reason that swatches are so important, because by the time I saw the first set of swatches I knew I couldn’t wait to get them swatched. Now that they are I am legit excited about this collection. I want to start off by saying that for whatever reason I feel like the descriptions provided by Zoya this time are way off. Maybe they have someone new writing descriptions. So I am including the description from Zoya followed by my own. Haruko is described as a soft, violet metallic. 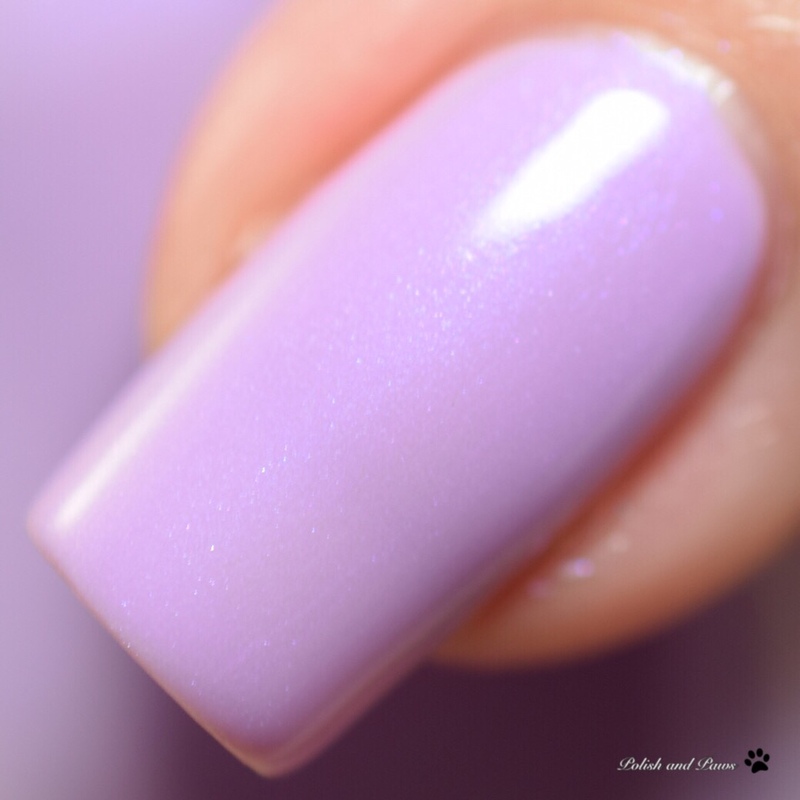 I would describe Haruko as a soft lilac creme witn a lilac/soft blue contrasting shimmer. The formula was a little thin on this one so be careful to avoid flooded cuticles. Two coats was fully opaque followed by a glossy top coat. 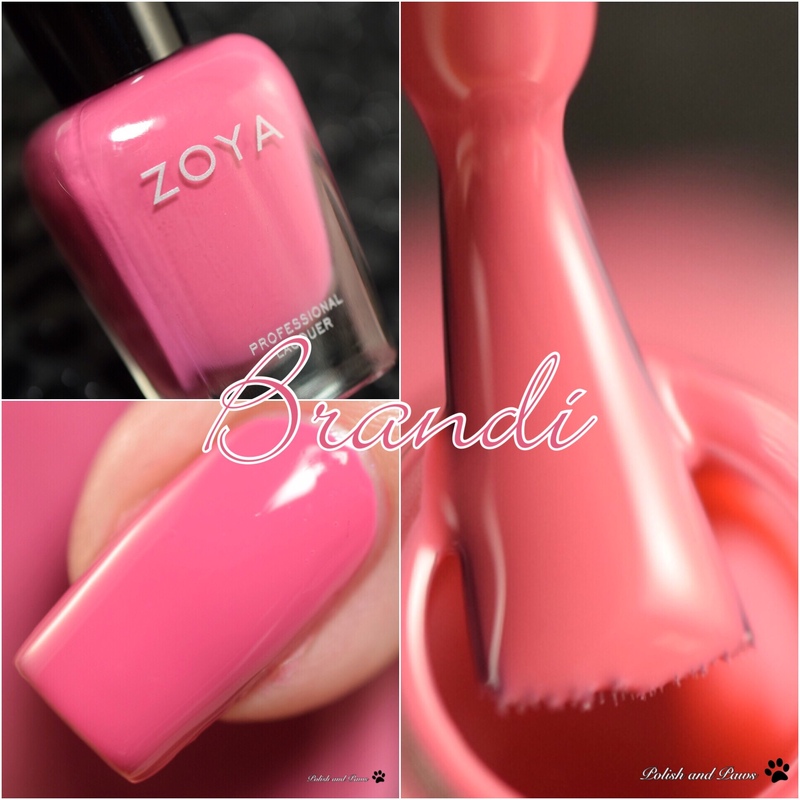 Brandi is described as a blush pink creme. I would describe Brandi as a salmon pink creme, leaning more to the pink end but it definitely has salon undertones. 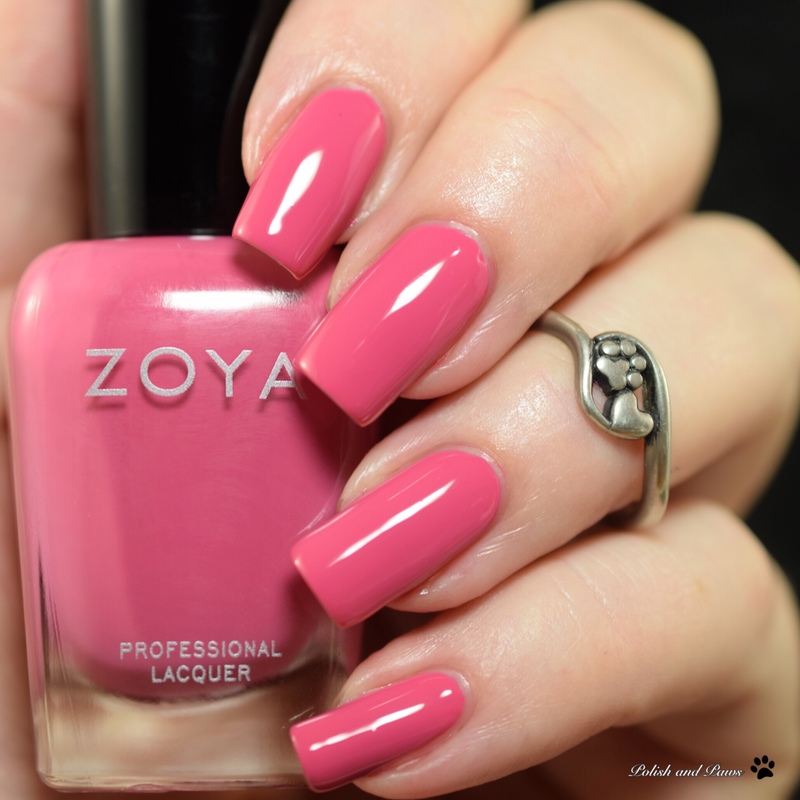 Flawless perfected zoya creme formula. Sealed with glossy top coat. Darby is described as a dusty, gull gray metallic. I would describe Darby as a dusty blue creme with grey undertones and a bright blue contrasting shimmer. 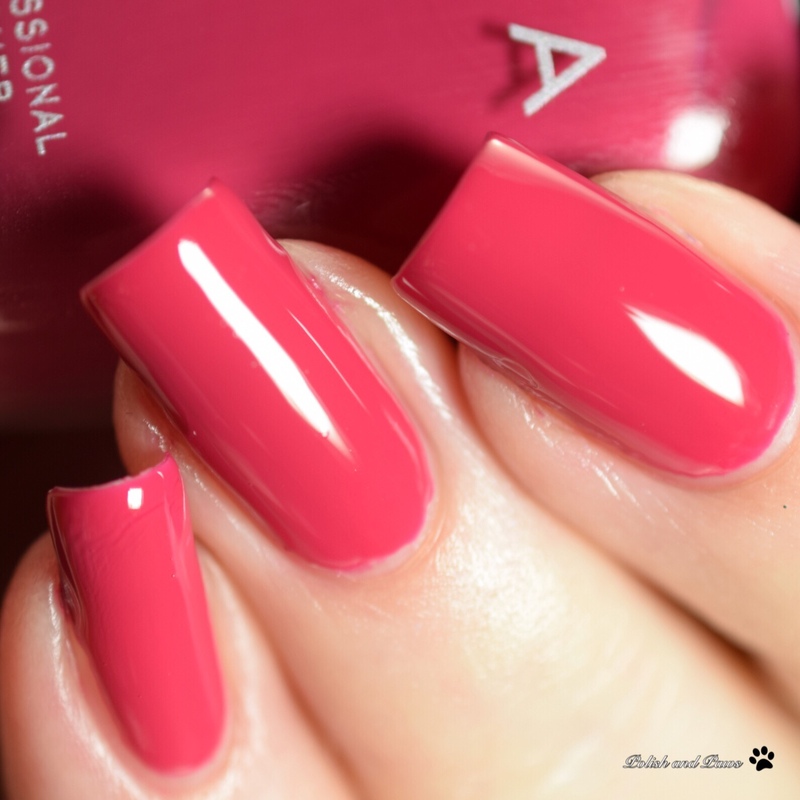 Two flawless coats with glossy top coat. 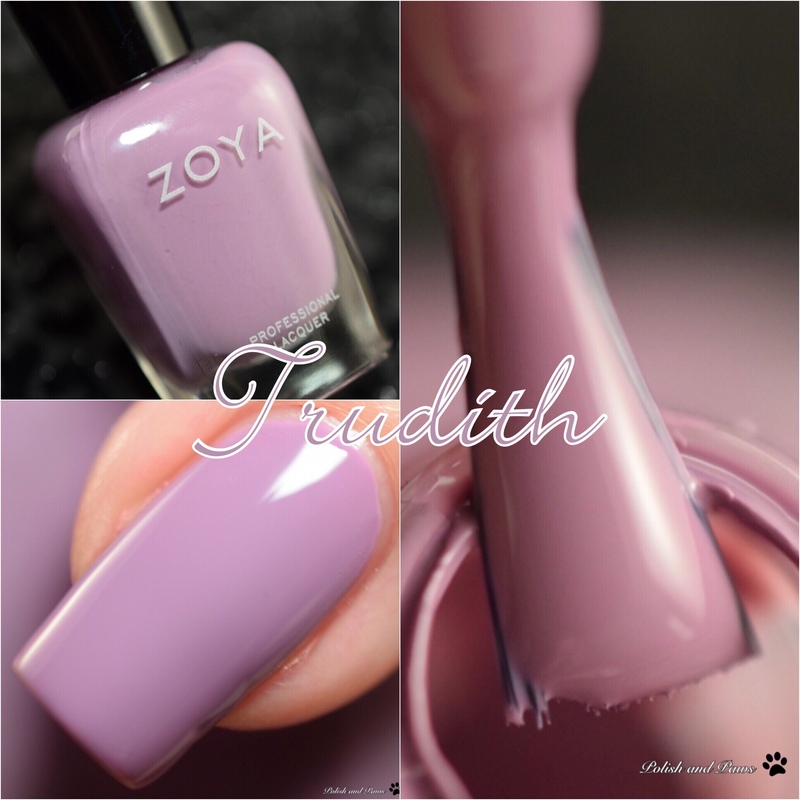 Trudith is described as a muted, wisteria purple creme. This is the only one where I feel like their description is on point. I absolutely love everything about this shade. I never wanted to take it off. For some reason this feels like a wisteria version of Zoya Rue to me. Maybe because they are both perfection in a bottle. Maybe because it’s easily my second favorite Zoya after Rue. And I feel like this would suit all skin tones. Ahhh just love love love it. 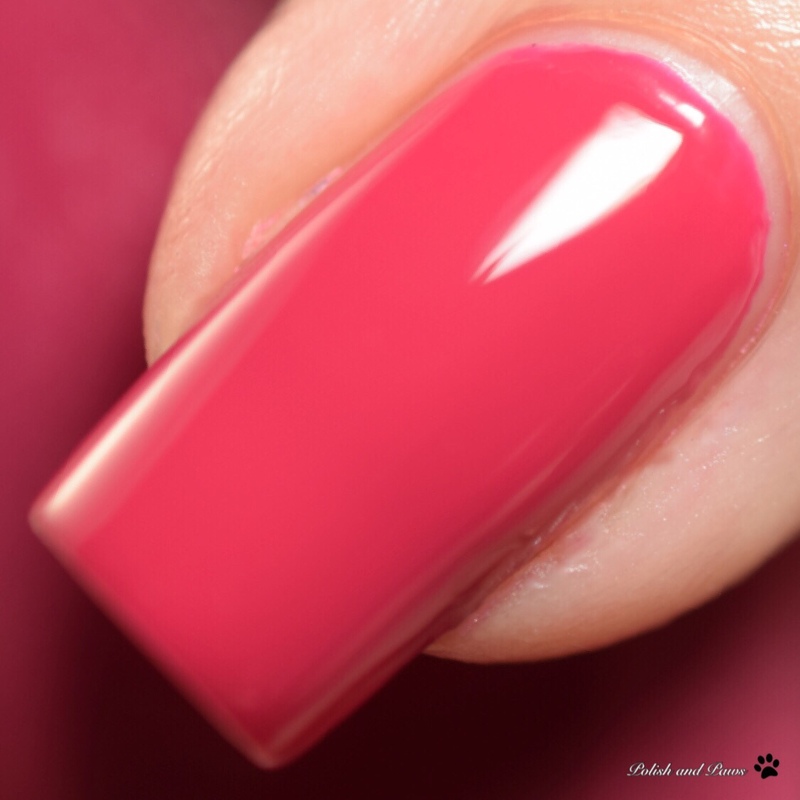 This is 2 flawless coats with glossy top coat. Leisel is described as a sheer, sparkling topper. 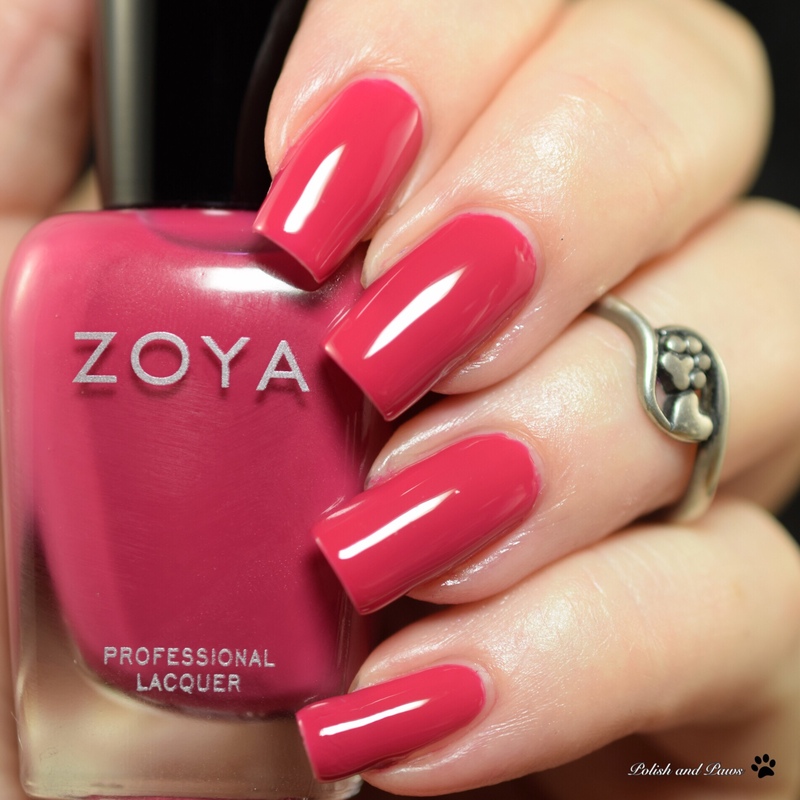 Oh Zoya what are you thinking with these descriptions? Am I the only one who thinks descriptions are as almost as important as swatches themselves? I would describe Leisel as a purple/pink/mauve scattered holo microglitter topper. This one just doesn’t do much for me. I’m kinda over toppers. How many toppers can one polish addict need? Shown is one coat over Trudith followed with glossy top coat. 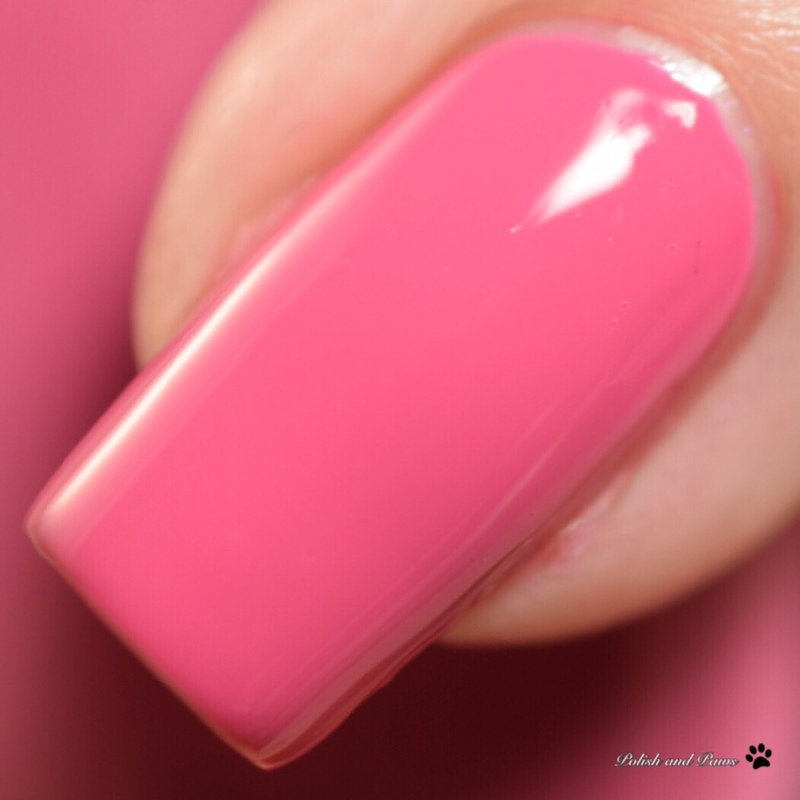 Monroe is described as a glamour pink creme. 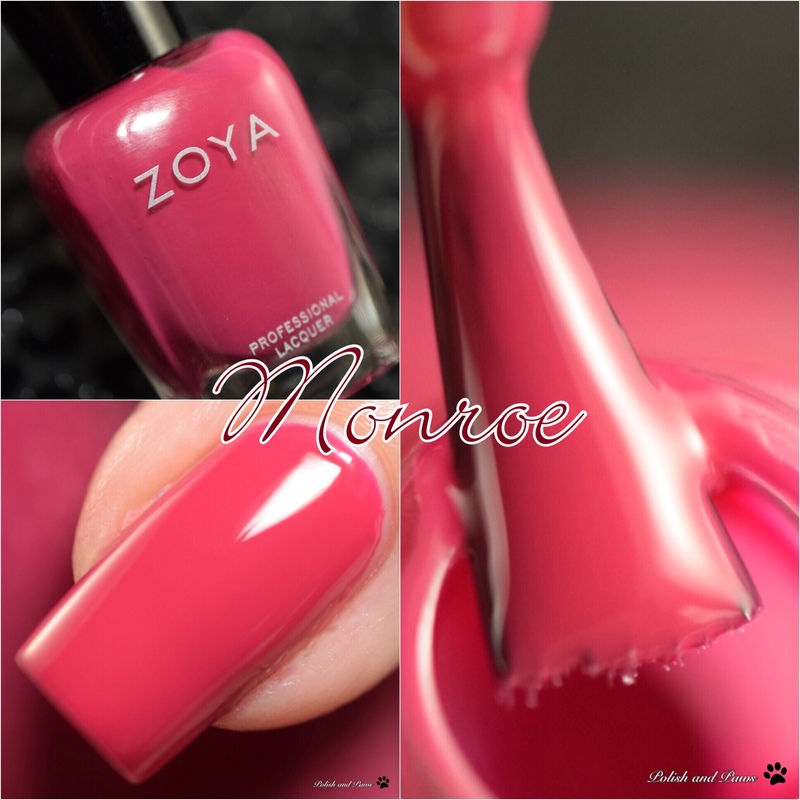 I would describe Monroe as a bright cerise pink creme. Another one that I absolutely love! Another flawless creme formula too. 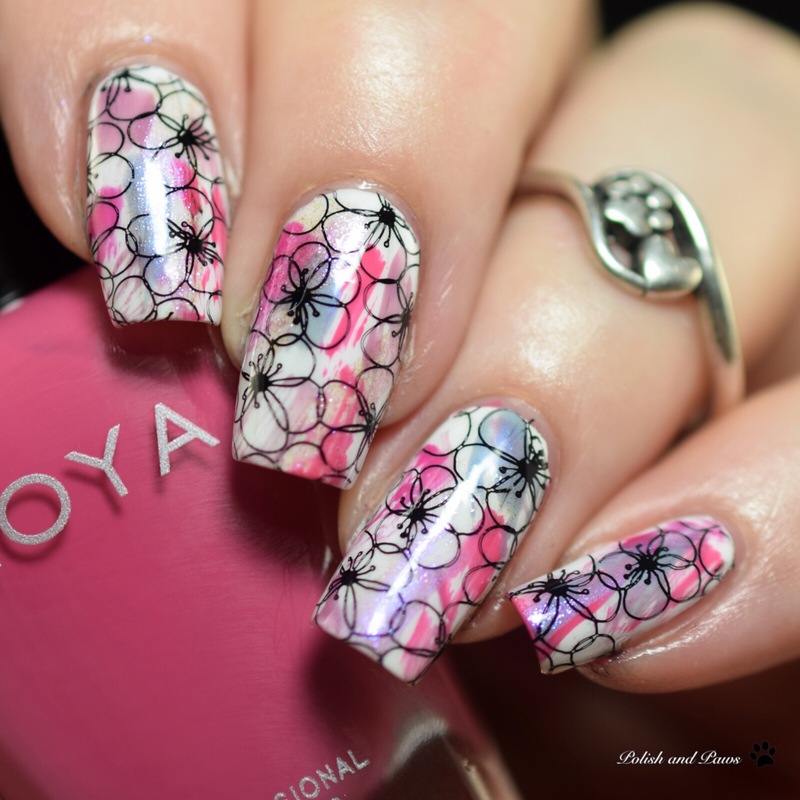 Zoya cremes are always fantastic. This is 2 coats with glossy top coat. For some nail art I started with a solid white base, and added some dry brush strokes with all 6 shades from the Thrive collection. 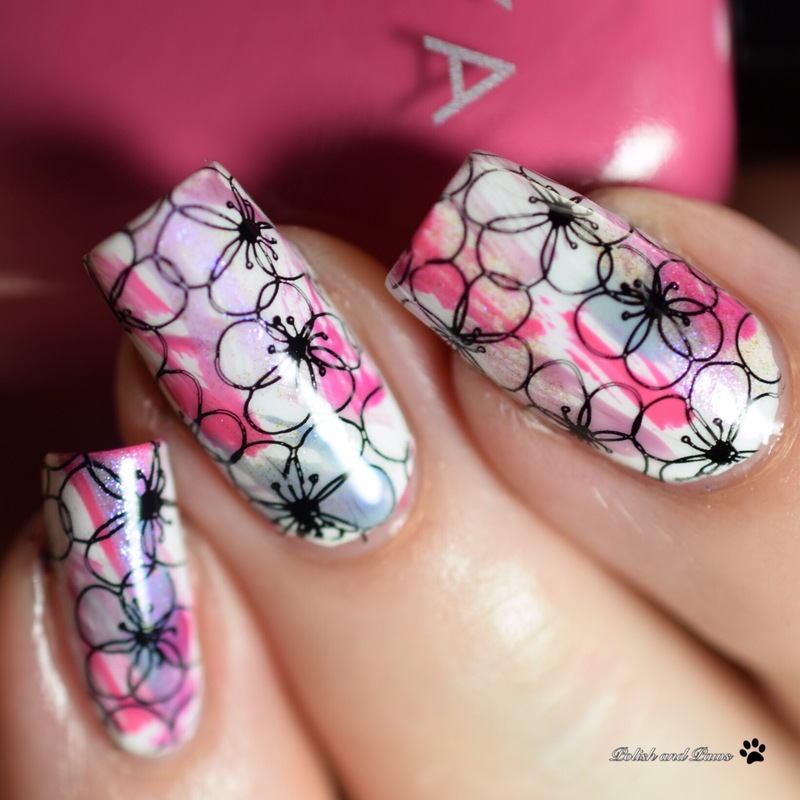 I finished it up with a little stamping from Lina Plates Make your Mark 04. I love this collection! If the bottles haven’t won you over look up lots of swatches, for real. It made all the difference for me. They all had a flawless formula, despite Haruko being a bit thin. My personal favorites are Brandi, Trudith, and Monroe. Which do you plan on picking up or have you already grabbed your faves? 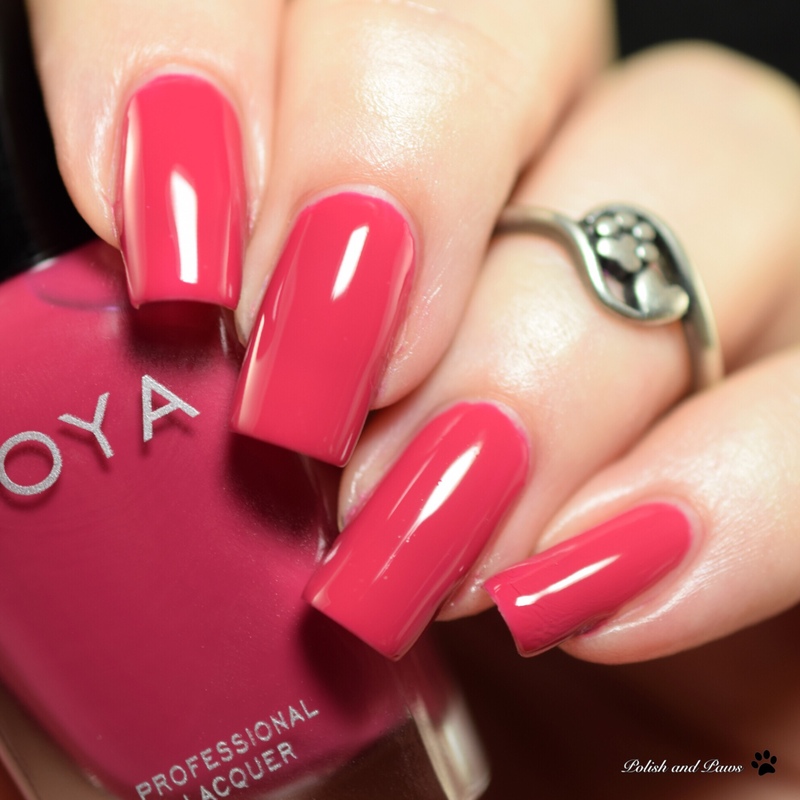 Zoya Nail Polish: Website ~ Facebook ~ Instagram ~ PinterestUntil next time, stay polished! I am so jealous of the length you get on your nails. I can’t get my nails to grow without them turning not just into tacos, but taquitos! This collection is beautiful and your nail art at the end is A+. Monroe pulled more red on me and I loved it. I agree about Trudith. I do get rue vibes! I was meh about these, too, but your swatches are beautiful! Haruko is my fave. Also, loving your nail art! Haruko & Darby are my favorites! I love the art you did at the end.